Athletics is the name given to a collection of sporting disciplines which involve running, throwing, jumping or walking. These can often be broken down into track and field disciplines, cross country running, road running and race walking events. 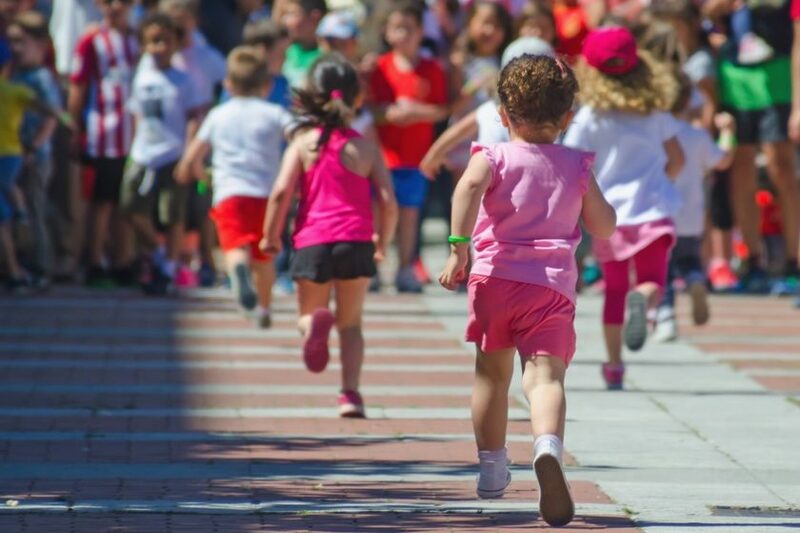 Road Running events are normally classified as running events that take place on tarmac or paved road, as opposed to special tracks or cross country terrain. Road running competitions are normally longer distances, such as the marathon or half marathon disciplines. The full marathon is the only IAAF Road Running event which is included in the Summer Olympics. Cross country events take place on a variety of different surfaces over open-air courses. Surfaces that are used for racing can be a mixture of grass, earth and woodland tracks. Courses are normally over 4km in length. Races are often held in the colder months, because the terrain is more varied at this time of year. National and International Cross Country events have been held for more than 150 years; however the sport is no longer part of the Summer or Winter Olympics as an individual discipline. A cross country run element is included in the Modern Pentathlon event. Race walking is a type of competitive walking which takes place over long distances. Judges watch walkers to monitor their technique to ensure that they do not engage in movements which might be considered to be “running”. A racewalker must always have one foot in contact with the ground and their advancing leg should be straightened, rather than being bent at the knee. Failure to adhere to these rules can result in disqualification. There is a 20km and a 50km walking event at the Summer Olympic Games. Track and Field is the largest and most varied area of athletics. Most Track and Field athletes will specialise in one or two disciplines, rather than trying to excelling in all areas. However, multi-disciplinary events such as heptathlon or decathlon do combine a range of different disciplines. Outdoor sprinting events normally include 100m, 200m and 400m. 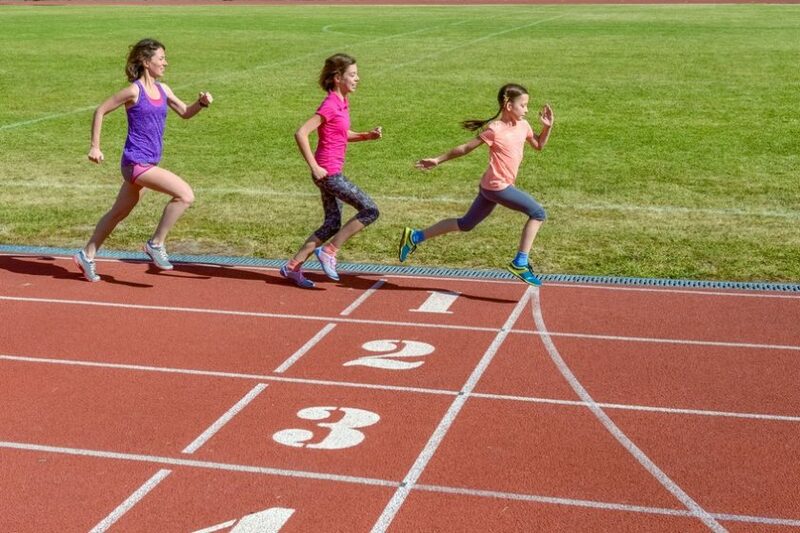 Some indoor events or junior events will also include a 60 metre sprint distance. 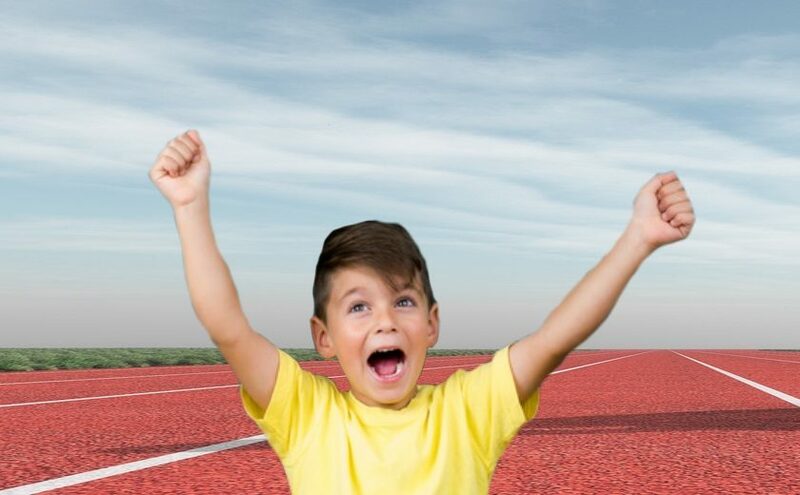 With sprint distances, every millisecond counts, so it is important that runners have a flawless starting technique. They must be quick off of the mark, but they must not “jump the gun” because false starting in sprint races can lead to immediate disqualification. In addition to normal sprint races, multiple competitors may also take part in sprint relay events over 4 x 100m or 4 x 400m. During sprint relay events, competitors must pass a physical baton between one another. The baton must be transferred within a designated handover zone and must not be dropped, or else the team may be disqualified. Middle distance events are normally classified as 800m or 1500m. Indoor and junior events may also include a 3000m distance. Middle distance runners must be able to find the perfect mixture of speed, strength and stamina. Adult long distance events will normally include a 5000m and a 10000m event; however junior runners do not always cover these distances. 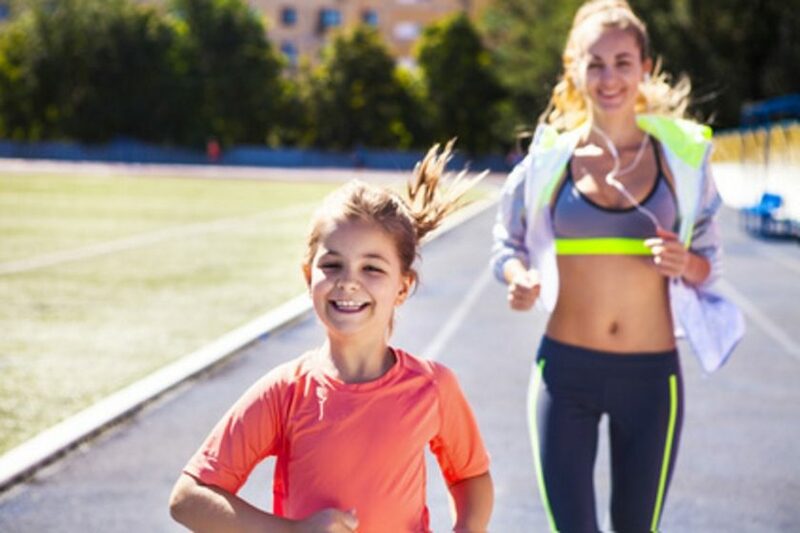 Junior runners will often build up towards longer competitive runs as they get older; and therefore the length of the long distance runs can depend on the age range and the competition. 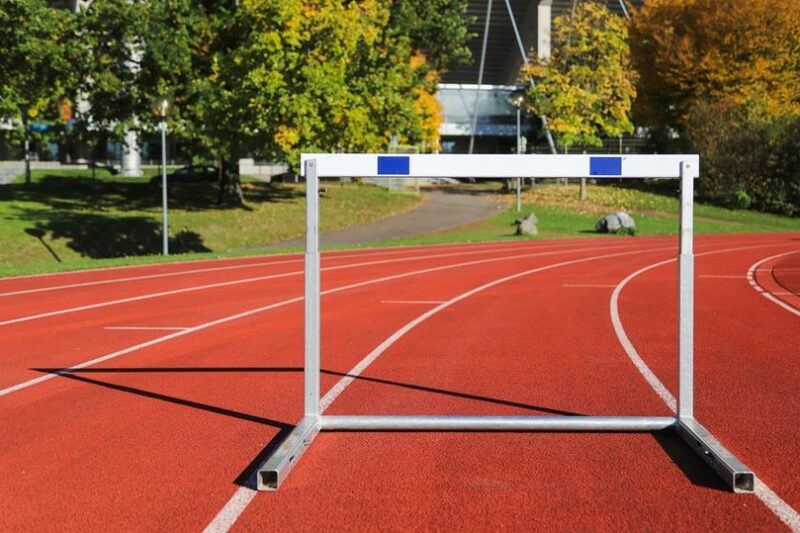 In hurdling events, competitors have to jump over a series of evenly spaced, evenly sized objects whilst completing a run. 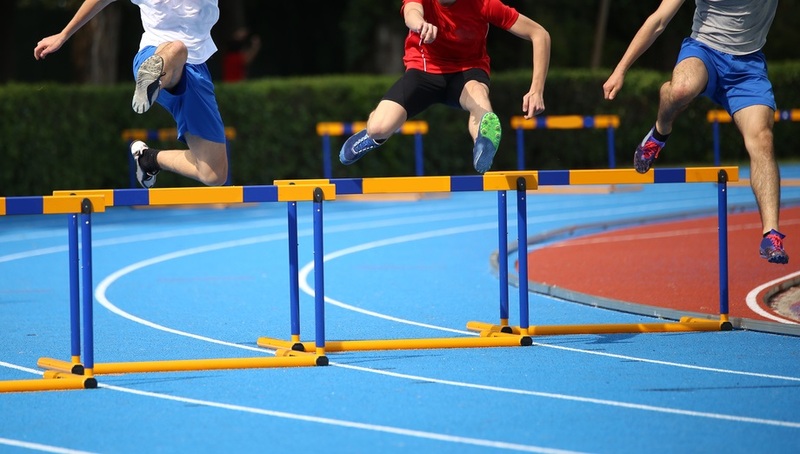 The 100/110m hurdles and the 400m hurdles are the most common competitive distances, although a 60m distance also exists at some indoor and junior events. Adult men’s hurdles are slightly higher than adult women’s hurdles, and therefore male courses are normally 10m longer to compensate for this. The 3000m steeplechase is also categorised as a hurdling event. Competitors run laps of a track which includes a large hurdle and water jump. Standard athletic jump events include; long jump, triple jump, high jump and pole vault. In jumping events, competitors strive for longer distances or greater heights than their competitors. With long jump and triple jump events, participants must launch themselves forward after takeoff. They must leave the ground and land within set parameters. In high jump and pole events, competitors must launch themselves upwards and clear a horizontal bar during their jump. If the bar falls off during their jump, then the jump is not considered to be valid. Major throwing events in athletics are the shot put, discus, hammer and javelin. Participants must release their projectile within set parameters and it must land within set parameters. In javelin events, the tip of the javelin must strike the ground first. In throwing events, the participant is aiming to produce the longest legal throw that they are able to.